Gupton Motors Inc is a full-service Jeep dealership in Springfield, Tennessee with a wide selection of Jeep parts and accessories. Looking to repair current parts or upgrade your Jeep SUV with performance parts? We have it all here at Gupton Motors Inc. When you use certified Mopar parts, you know you’re getting high-quality auto parts that fit your Jeep vehicle perfectly. At Gupton Motors, we’re proud to provide you with genuine Mopar parts at a price you can afford. Visit our dealership in Springfield, TN today to explore our complete Jeep parts inventory! Whether you’re looking to add accessories to your Jeep SUVs exterior, upgrade performance parts for your next off-roading adventure, or replace worn parts with new ones, Gupton Motors Inc has all the Jeep parts and accessories you need. Our experienced service and parts technicians can help with any Jeep SUV repairs, such as oil filter replacements, brake repairs, engine tune-ups, battery replacements, alternator repairs and more. You can also enhance the off-road performance of your Jeep SUV with all-weather tires and mats, cargo nets, and roadside safety kits. Want to learn more? Stop by our dealership in Springfield, TN to speak with a parts specialist today! How to Order a Certified Jeep Part from Gupton Motors Inc.
Ready to order Jeep parts? Use our convenient online order form to order your Jeep SUV parts or come into our Springfield, TN parts center to get help from our certified parts specialists to determine which parts you need for your Jeep SUV. 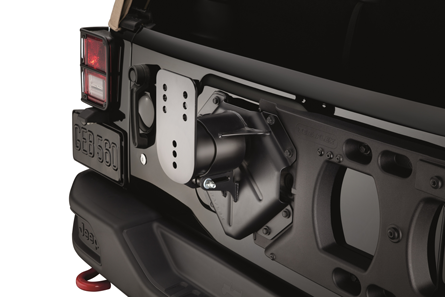 Check out our complete selection of Jeep parts and accessories online or contact our dealership for more information. Bring your Jeep SUV by Gupton Motors Inc for all your parts needs, so you can get back on the road in no time!